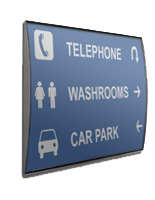 Does your business need to establish a commercial mapping system using wayfinding signs in an office building or retail complex? 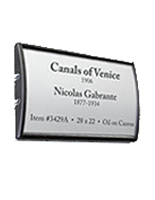 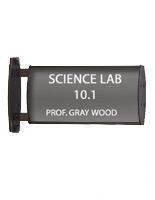 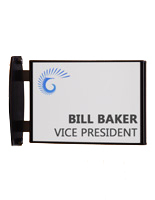 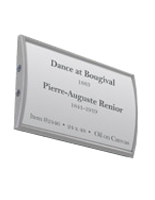 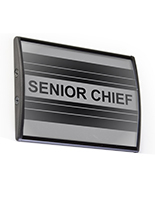 These name plates work beautifully to identify corporate facilities, and steer customers toward goods, services, and staff. 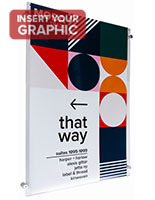 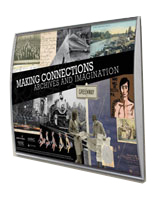 Check out our inexpensive, well designed wayfinding signs, like wall framing, in an array of styles, sizes, and materials. 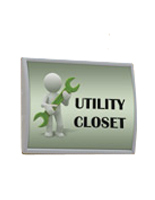 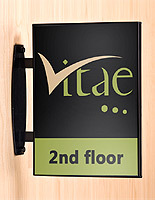 This sign hardware is popular with interior designers of corporate space because selections have a sturdier build and more design options than most offered by other suppliers. 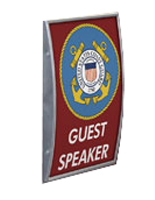 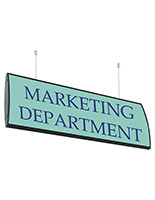 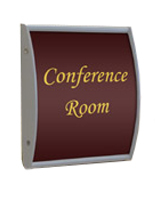 Buy wayfinding signs, also known as name plates, for a community center, corporate office complex, or convention arenas. 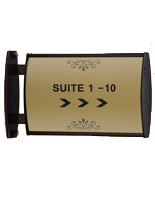 Know that you’ve tapped into the best directional systems for business available! 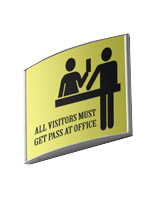 Place one, or many, of these visual directives in a hotel or hospital lobby to guide clients, advertise an organization, or support a brand. 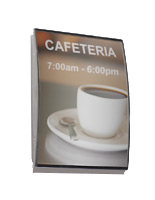 Commercial designers love these signs with price points for every budget. 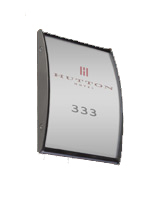 Corporate interior decorators use these name plates, affordable signage, in lobbies, waiting areas, convention centers, and professional office complexes. 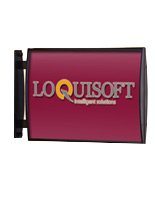 Load these accessories with custom graphics easily. 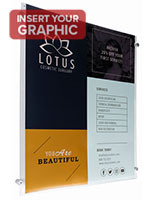 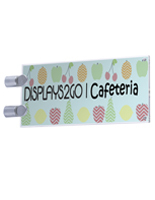 Each of these hallway signage systems that are directional signs includes glass, plastic and acrylic lens covers to protect images from dust, sun damage, and fingerprints. 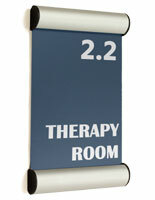 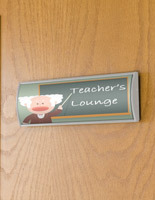 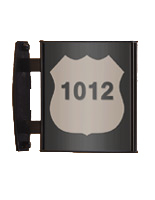 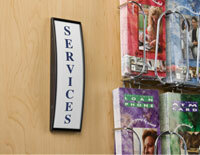 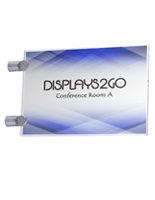 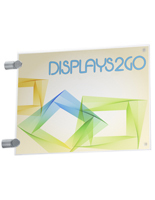 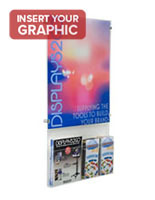 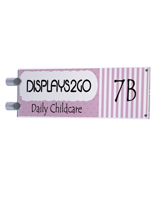 Most of these easy to mount hallway signage systems are constructed of durable aluminum! 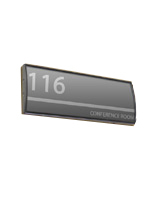 Which features distinguish these name plates from others on the market? 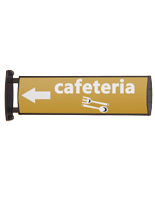 This wayfinding sign offers ... Protection: Non-glare covering keeps overhead lighting from distorting messages & prevents damage from sunlight, dust, and handling. 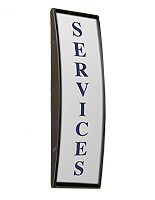 Construction: The curved signs are fabricated from aluminum with silver or black anodized finishes. 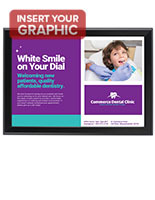 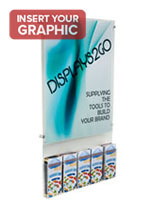 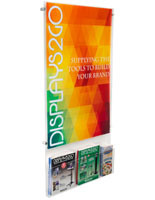 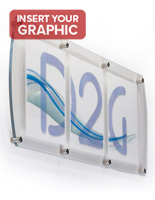 The economy flat styles feature clear acrylic plastic or injection-molded PVC construction. 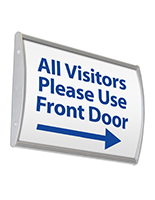 Design: Curved facing instantly attracts attention from onlookers, drawing them to their destination very clearly. 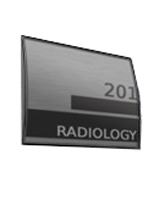 Some flat models include acrylic pockets with standoff hardware. 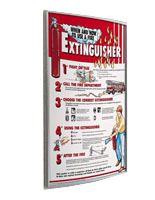 Mounting: Frames are to be door or wall mounted with an array of fastening options, including sign standoffs or 2-sided VHB tape. 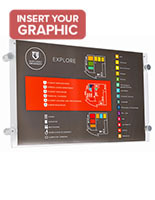 Sizing: Flexibility is key when designing office space, and these accessories come in an array of sizes to mount customized brand messaging. 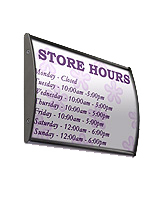 This business signage and mounting accessories offer bulk pricing so entire buildings can be outfitted with signs at discount! 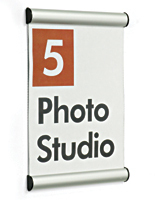 This hallway signage mounted horizontally or vertically makes installation a breeze; a boon for busy designers who appreciate efficiency plus style. 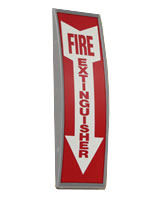 The aluminum and acrylic wayfinding plates feature a wide assortment of signs for directing customers to their destination! 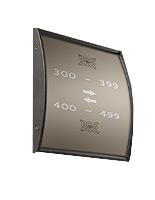 Most accessories come with a protective lens to prevent dust, sunlight, or fingerprints from damaging the graphics in these customizable displays. 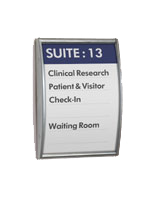 Corporate designers are huge fans of easy-to-assemble hallway signage systems that guide guests while reinforcing a company’s image.